Eleanor's heart is a reflection of all that is hidden in a girl's heart. 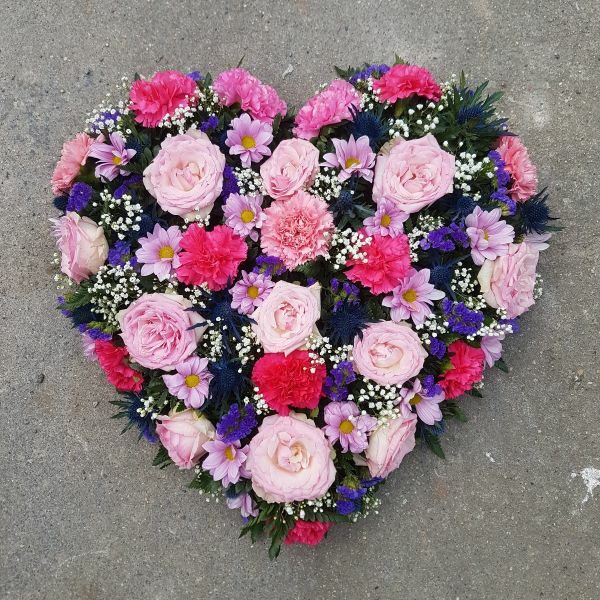 Pink and purple toned roses, carnations and seasonal flowers make up this magnificant heart funeral flowers tribute. Approx finished size 16 inches / 40 cm.